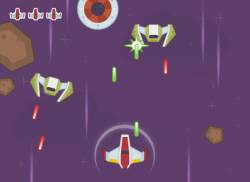 Many game developers start out with a space shooter, easy to program and fun to play. So let me help you out with some graphics, included is everything you need. 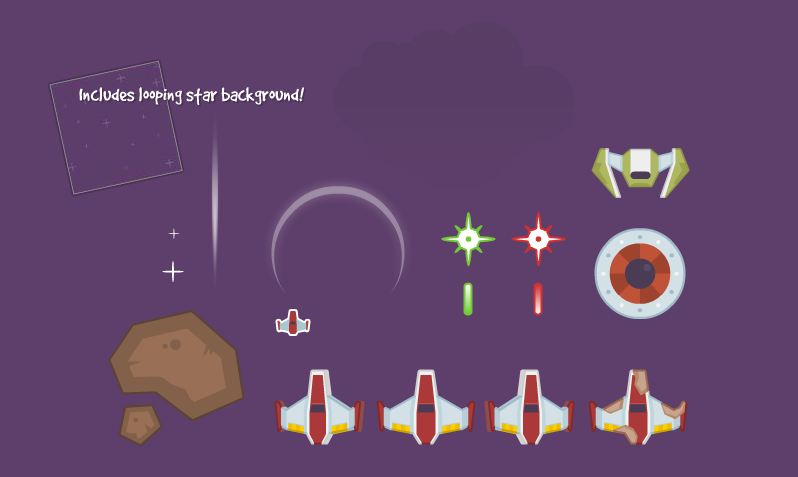 Player ship, enemies, meteors, background, lasers - everything! Awesome. If crediting is not mandatory, why not make it CC-0? Because I would still like people to credit, but if it's not possible at all than that is okay. CC-0 would not enforce my standpoint on this, as credit is never required with that. This is nice. Thanks for sharing. Since you ask if we have any requests... how about a couple more enemies? As a developer I want to thank you and tell you how useful these are. I won't be using them in my final project, but they fill a critical gap as placeholder art while I develop my game dynamics. Thank you for your generosity! People like you are what make the open-source community great! These are awesome. Can you make score and numbers which looks good on these art? I couldn't think of any. Thank you so much. 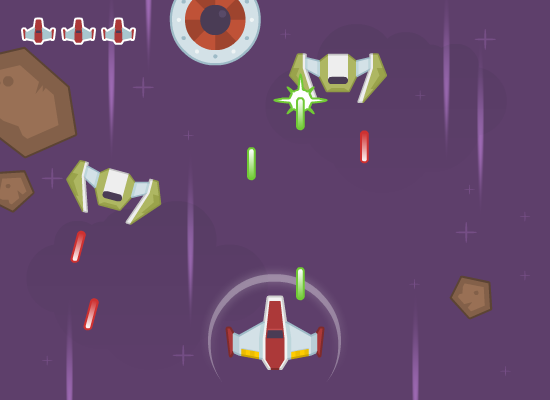 I've put these into my very first game! Awesome Assets you have there kenney! I donated for your donation pack! coll stuff! free and neat! I encourage this developer on creating video games!